After much prayer, and Bear’s permission, we’ve decided to pull Bear from her Montessori preschool and enroll her in Classical Conversations in the Fall. It meets one morning a week. (She’ll do one more month of Montessori preschool in August so she can celebrate her birthday in the Montessori way and then we will move on.) As much as we love the school, the long drive, the tuition, and my intense desire to homeschool have made us reevaluate where we think Bear needs to be. I spent most of last week at a CC parent practicum to learn more about it (hence my lack of posting last week) and finally we decided that not only would we enroll Bear, but I would become a tutor for a new CC “school” starting near us. We will continue to do Montessori at home, but will be following a bit more of the Classical Conversations subjects and ideas. Since Bear is advanced for her age, I did order a couple first grade resources; they are in bold. Reading anything that appears to be her reading level (using All About Spelling to help with phonics rules) but using the Houghton Mifflin lists as a guide. I love Montessori math and we will continue with that but I needed something to help me know where Bear was (grade-wise) and also to ensure I wasn’t skipping over anything by mistake. Bear doesn’t need much repetition and though most of the moms I met at the CC practicum use Saxon math, I just knew it wouldn’t be a good fit. CC goes through yearly memorization of the Saxon History flashcards (all five sets) as well as cycles through three time periods of historical facts over three years. This year is Cycle 3 which has a History Focus of the United States. We will try to do activities (gleaned from the internet) in conjunction with the memory fact of the week. I like the way Singapore Math presents number stories and shows another depiction of addition and subtraction. The United States – memorizing the States and capitals. I will be using Carisa’s USA geography powerpoint (from her Member’s Only site) and many ideas from Adventures in Mommyness and Montessori Tidbits in addition to the map activities we will do at CC. Human Body – I will use Karen Tyler’s album a bit for this, along with other resources, but I haven’t quite looked at how I will do this. It’s my goal to have Bear and J-jo speaking more in their two other languages (French and Spanish) by this time next year. Although they understand all that is asked of them in those languages, they mostly respond in English. We are going to spend about an hour a day role playing in French – doctor, store, restaurant, library… – to learn useful phrases as we play. We will also play board games in that hour and make sure we speak French as we play. Any books read in that hour will also have to be in French. I am hoping my husband will do that hour of intense play with them on weekends so they can have the same experience in Spanish. I will initially be giving Bear rewards for her efforts (checks on a chart that can be traded in for a prize when the chart is full – that usually works well enough for her) to spark her interest a bit as currently she has no desire to even try. Classical Conversations has Latin memory work. This year it involves learning John 1:1-7 in Latin. I’m not sure how well this will go, but apparently kids her age like it because the words feel and sound funny to them. We started with Creation last week and are going through each major Bible story, memorizing a verse that fits the story and engaging in some Godly Play activities. As you can probably tell, we are schooling through the summer, but keeping the emphasis on spelling, reading, Bible, math, and French during the hottest hours of the day. Although, the French playing could be done outside as well. Have you posted about your curriculum decisions for 2011-2012? If so, please feel free to post the link in the comments. Or just tell me your favorite curriculum decision. I love to see what everyone else uses. It’s so helpful in making decisions. Edited to add June 24,2011 – Educating layton is hosting a link up about what curriculum everyone is using for the 2011- 2012 year. I’m adding this post there. I can't wait to hear how you like CC. 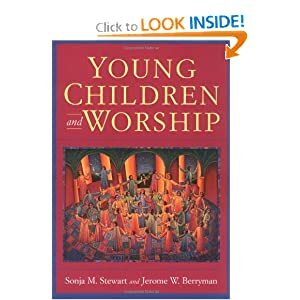 I've thought about it a couple of times, but haven't been quite sure if it's a good fit for my kids. Oh the decisions…..And hopefully in a week or so (while hte kids are out of town), I'll be getting that geography page caught up with everything we've done……).I need to post about our 2011-2012 curriculum soon. And I agree it is helpful in making decisions. I hope this curriculum will work out for Bear! Anna's future school uses Saxon Math, and I am curious to see how Anna adapts to it. 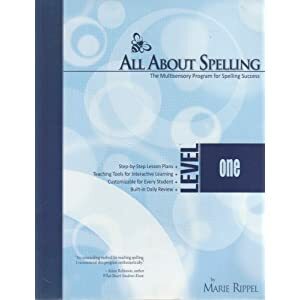 All About Spelling has a lot of good reviews, but I am holding out to see what they will do about spelling in her K.
I am thinking of doing Miquon math this year but Singapore seems interesting as well.As for speaking in another language, I also find it more difficult especially as they grow up, but it has helped me to be intentional. I try to read in Korean everyday for a certain amount of time. I try to buy their favorite books in Korean. And recently, we played charades and that seemed to help. Oh, memorizing Bible verses in another language helped, too. The funny thing is that I really wish I could teach them Spanish and French. Your kids are really blessed that you and your husband are teaching them both languages. It looks like you've put a lot of thought and prayer in your decision. I especially like that you will be using role playing to teach foreign languages. I'm suggesting that my husband do the same. 🙂 Good luck homeschooling! I know you will be a wonderful teacher. For another fun study aid, check out RightBrainedLearner.com for fun flash cards that use cartoon picture codes to help you remember the 50 States and Capitals. I would love to see what your daily schedule/routine looks like.